A fine collection of songs but probably one to try before you buy. Landmarq formed in 1990 and it’s therefore a surprise that their discography features only five studio albums, three with original vocalist Damian Wilson and two with incumbent Tracy Hitchings. This seeming lack of activity was in part due to Hitchings falling foul of two forms of cancer, thankfully she recovered and this has been the catalyst for the reigniting of the Landmarq brand. They have chosen to put together this two disc compilation which covers the band’s two eras, but rather than just lifting the studio tracks they’ve elected to use some live versions plus giving us a lengthy new song which also happens to be the title track. For those not familiar with the band and who have a liking for neo-Prog, this will be a very good place to start their research. It’s a good selection that demonstrates the band’s song-writing capabilities and the ability to write strong choruses and refrains. The first disc is the ‘Tracy Years’ and features nine tracks including ‘Origins’ and gives a fine representation of the qualities of the band which include excellent songs and playing. For me the question mark is Hitchings’ voice which, not unlike Sue Willetts of Dante Fox, can come across as thin, reedy and a bit shrill in places which is fine for one song but feels rather samey across an entire album. That said, her performance on the excellent ‘Lighthouse’ is superb, moving from breathy verses to full belt on the choruses where Heart’s Ann Wilson comes to mind in places. I can’t help but think she’d have made it in Musicals. Similarly, Wilson on disc two is an acquired taste. There are times when I think his work is terrific but equally I find the vibrato and swoops he employs rather distracting and I would prefer a simpler style. The production on disc two feels a tad dated while Steve Leigh’s keyboards sound remarkably like early Marillion. The aforementioned new song will be of particular interest to existing fans and over its eleven minutes it encapsulates everything they’ll love about the band including a catchy chorus. Relatively sparse verses explode when the chorus arrives during the song’s first third. A complete change then ensues with an almost Pink Floyd quiet mid-section before the heaviness returns. 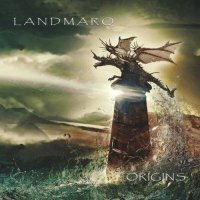 If you like keyboards then Landmarq are a band for you but in Uwe D’Rose they also possess a guitarist who can structure a fine solo.